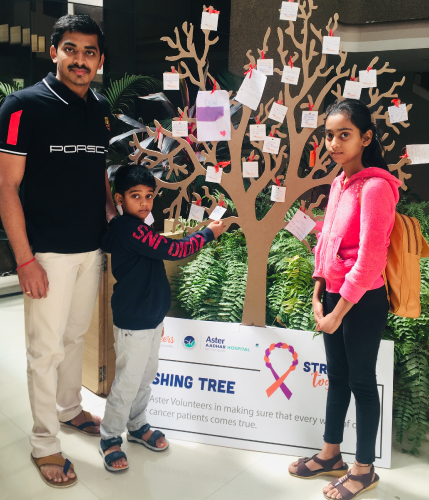 This World Cancer Day, the Wishing Tree bore fruit. 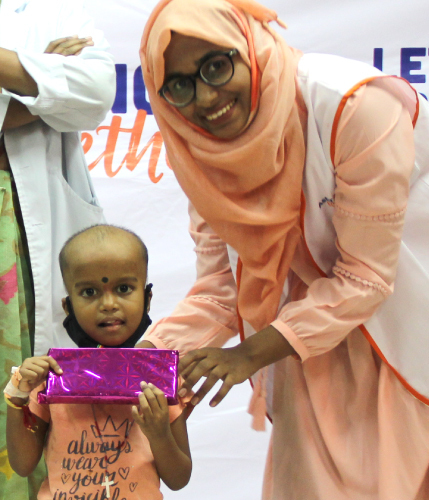 This World Cancer Day, Aster Volunteers across Aster Hospitals from Kolhapur, Qatar, Calicut, Kottakkal, Oman, Hyderabad, Bangalore, and Kochi took up a big task - to put smiles on the faces of our little patients. Aster Volunteers conducted the Wishing Tree campaign over multiple locations across India and the Middle East. 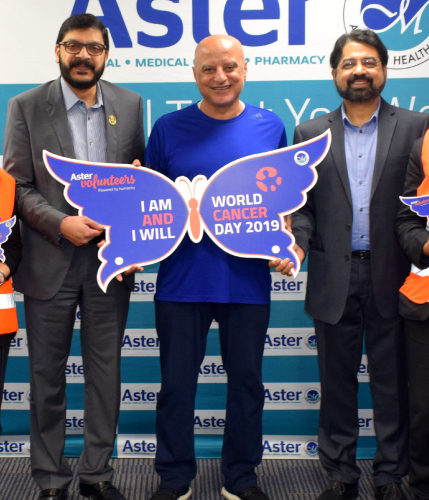 The initiative aimed to fulfill the wishes of young cancer patients being treated at Aster Hospitals. And that's not all, Aster Volunteers held a talkathon at St. Theresa's hospital. 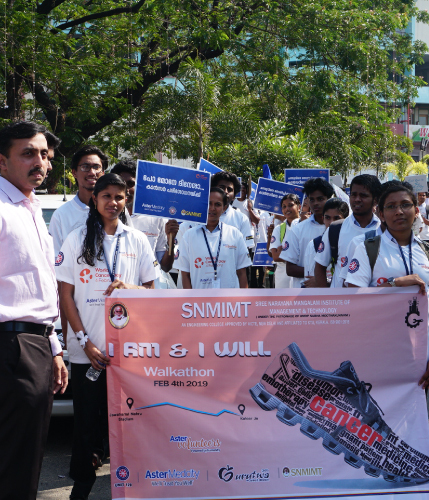 We also gave cancer a run for its money with a walkathon. 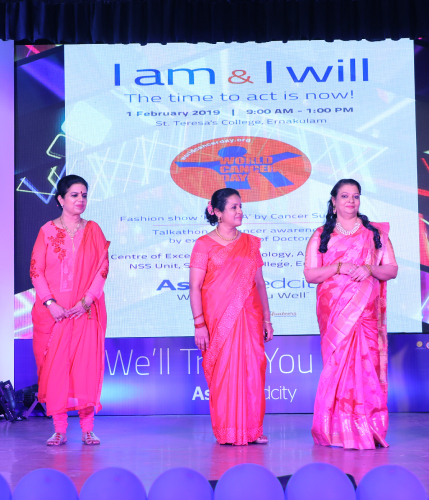 And we drove an awareness campaign I Am and I Will and even helped cancer survivors strut their stuff at a fashion show. 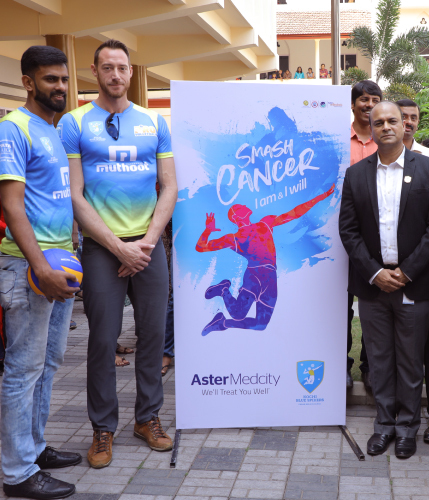 What's more, we even got famous volleyball player, David Lee to participate in our Cancer Smash programme. The band that plays not just for ears, but hearts too. Saluting the heroes building Dubai. The Dubai sun is a most punishing supervisor for the thousands of men working under its intense heat. As the people of Kerala get back on their feet, it’s time to rebuild - starting with their homes. Aster Homes will help rehabilitate or rebuild homes that were wholly or partially affected by the Kerala floods. We need volunteers to help execute this project. Every day, accidents claim the lives of around 2,000 children worldwide. In order to educate parents about the seriousness of this issue, Aster CMI Hospital Bangalore is launching a book on child safety, titled "Playful". Written by Chetan Genigeron, the book will educate parents about safety both at home and outside it. And what's more, all the proceeds from the sale of the book will go to the Aster Sick Kids (ASK) Foundation. Diva 2.0 - Women Empowered is an initiative to recognise and celebrate the hard work of women from across the world. To be held on March 22nd, 2019 it will be a special event for 100 women blue-collar workers, who will be treated to a full day of health, wellness, and entertainment. A simple decision taken at the right time can save a life. Aster Medcity is undertaking a multi-city Basic Life Support training drive across Kerala for the Anganwadi workers of Ernakulam, Alleppey, & Idukki districts. Empowering people with knowledge that can save lives. Meet Aishwarya Krishna, a student of psychology from Deakins University, Australia. She has volunteered for one event with Aster Volunteers, but was so inspired that she has resolved to keep giving back to the community whenever she can. Manoj is a Learning & Development executive, who was inspired to take up volunteering by the promise of helping someone out selflessly and because he was curious about seeing life from the perspective of those who need help the most. Passion is at the heart of volunteering says student volunteer Darshan. It’s not about how you feel, rather about how you make others feel. And he is one of our oldest members, offering his time right from when Aster Volunteers was established. Poornima is a senior executive who has been following the various events conducted by Aster Volunteers closely and hoping that the platform would open up to external volunteers from outside of the Aster organisation. A fourth year student at Gulf Medical University, Nitha has always wanted to participate in volunteering events to serve the community. The opportunity to help those less fortunate than her has made her less self-centred and more aware of the blessings in her own life. Taking inspiration from the courage and dedication of Aster Volunteers, Rana decided to become one herself. She feels blessed for the privilege to help people around her who may be struggling. A senior software developer working for Nokia Networks in Bangalore, Sagar has wholeheartedly participated in various initiatives with Aster Volunteers. 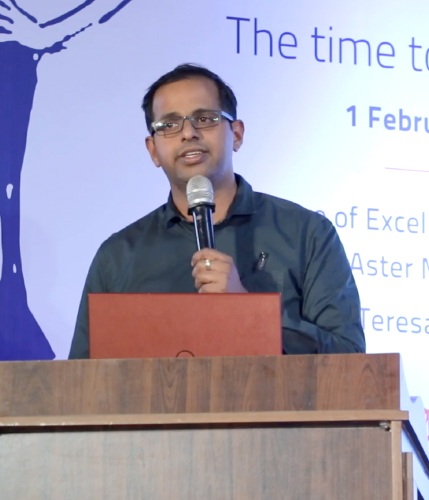 From providing computer and English coaching lessons to underprivileged children to actively volunteering in the Aid Kerala mission, there's no stopping Sagar. A senior marketing and business development executive by profession, Azza believes in the ancient wisdom of the proverb “A selfless act is an eternal act”. She has been an Aster Volunteer for 1.5 years and is grateful for the opportunity to help many through the platform. Azif Abdul Rahman has been volunteering with Aster for over 3 years. An internal audit professional, he made a conscious decision to spend less time on Facebook and YouTube and instead dedicate his free time towards doing good. Ebtsam is an insurance clerk who has been volunteering for 1 year with Aster. It has helped her discover the unconditional joy a few small actions from her can bring out in the life of others. To her, this is a feeling beyond happiness.